Located in the west of Cyprus the Akamas Peninsula is possibly the most picturesque corner of the island. Covering approximately 230 square kilometers, this is where you will find wild landscape, amazing natural beauty, deep gorges, and wide sandy bays. This wild uninhabited region has spectacular landscapes and has become a habitat for several species of flora and fauna unique to the Mediterranean. fast downhill, technical rocky sections & twin track cross-county trails. 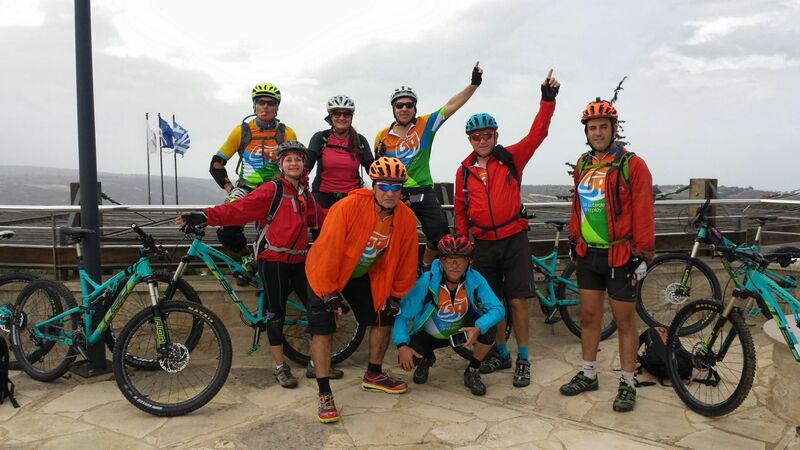 It's our aim to promote the Akamas Peninsula as the place to explore as a mountain bike enthusiast, and at the same time promote local tourism, village hotels, restaurants, tavernas, winery's and the cultural heritage. 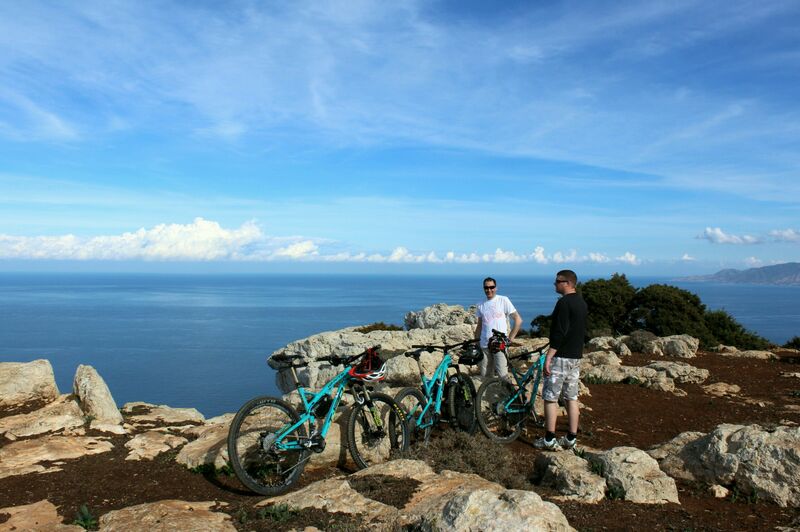 Our guided tours start from the village of Ineia at over 650m above sea level, with views of St George's Bay right over to Lara Bay, it's a good starting point to ride the numerous twin track trails that run through the Peninsula. The trails have a lot to offer even to the most experienced riders,range in grade from moderate to difficult, from half a day to full days ride, with time for photos and breaks. The best trails start with a down hill decent from 650m down to sea level. With a maximum group size of 8, each days ride is based on the groups skills and fitness levels. 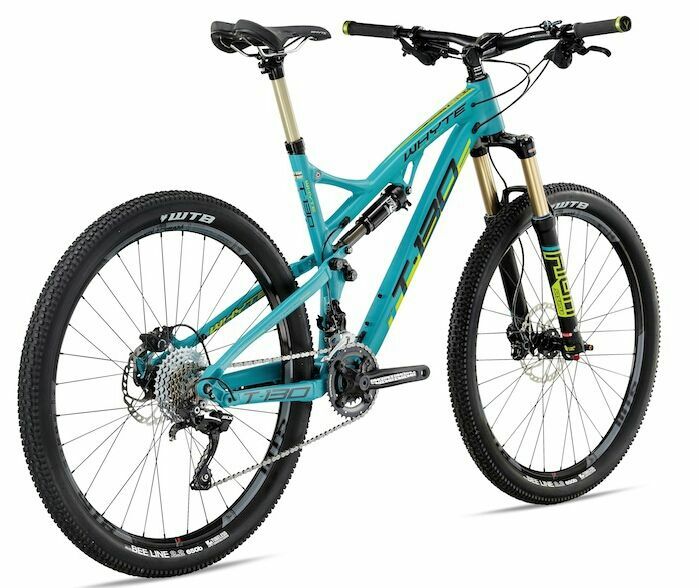 If you want to experience the superb riding that Cyprus has to offer, then you need a quality mountain bike, that's why we use the Whyte T130-SX that are part of the Whyte's highly rated Trail bikes range, giving the best performance and safety of the most demanding trails, we believe we have the best hire bikes currently available in the Paphos and Polis area of Cyprus. The Akamas Peninsula is a wild and rugged region, which is why we offer support vehicles to cover any eventuality. We are based in the village of Ineia which is at the edge of the Akamas National Park, where you will find our workshop to service and maintain our fleet of Whyte bikes. We offer one week's tour with five days riding and two days as rest days. With numerous twin track trails that run from the village of Ineia, we ride a different region of the Peninsula each day with varying degree of difficulty. We also offer shorter two/ three day tours, and bespoke tours. 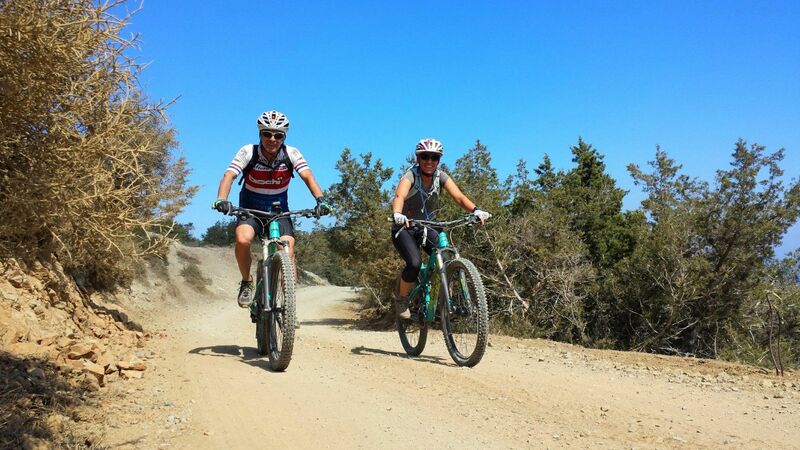 With hundreds of kilometres of trails in the Akamas Peninsula there's a ride to suit any mountain bike enthusiast, fast downhill, technical rocky sections & twin track cross-county trails. We aim to make each day enjoyable and challenging, visiting points of interest on the way such as The Turtle Sanctuary at Lara Beach and The Avakas Gorge. Most airlines offer bikes as sports luggage, and we would recommend you use a hard case mtb specific cycle case as the best way to protect your pride and joy, as your bike will be treated as hold-luggage and damage can occur. There are numerous airlines that fly to Cyprus Paphos airport and good deals can be had if you book your flights in advance. We are currently working with The Palates Village Hotel to provide you with the best hotel accommodation at discount rates to our clients and their family. Click the link above to view website. Located in the village of Dhrousha. This is a small family run hotel with stunning mountain views, a comfortable, stylish furnishing hotel with many amenities and professional care, well located five minutes from our workshop and a excellent place to relax poolside after a days ride.